Google has now introduced its selfie-based sticker versions emoji that looks like you to use in Gboard, Google’s own keyboard for android and ios. Like to the launch of Mini stickers, the new emoji are also created using machine learning techniques as told by Google. The company feels that it is far better to send emoji that looks like the one who is sending to another person during a chat than to send anonymous stickers that has no relevance with the look of the sender, in order to enrich the conversation experience. As the emoji which are in sticker versions are customizable, you can have the emoji that looks like you with colored hair, your chosen color of skin tone, hairstyle and so on. Google explains that it uses neural networks to suggest skin tones, hairstyles, and accessories that you can then fine tune. You can customize the emoji with a color for your hair, facial hair, or select different types of head covering and eyewear. , if you want You can also add freckles or wrinkles according to your look. The result is not just a single emoji, but a selection of options. For example, you can use your custom emoji as a zombie, mage, heart eyes, crying eyes, shruggie, and all the others. Though it seems like a minor thing, the emojis, stickers in messaging app can be a great thing when considering the chat experience of the users. Apple, Snapchat, Samsung like companies are now stressing on the creative emojis to build up the chat experience in messaging app. Snapchat has given its users access to more creative expression through its Bitmoji (Bitstrips). Apple has started clever animoji and expressive memoji making its flagship for the Face ID-powered phones. You can also create AR emojis that looks like you with Samsung. And people celebrated when the Unicode Consortium diversified to include more skin tones, and added, at long last, redheads. 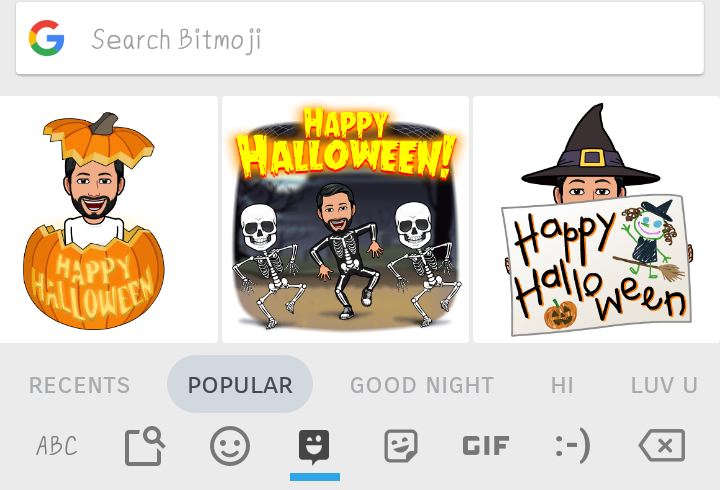 And now Gboard has its selfie-based stickers, whose app has been downloaded over a billion times on Google Play, has a similar draw, thanks to its selfie-based stickers. According to the company the new Emoji Minis are available in all Gboard languages and countries on both Android and iOS.